Positive Exposure was invited to Sweden by Ann Nordgren, MD, PhD, a Professor of Clinical Genetics at Karolinska Institute and senior consultant and Project Manager at the Karolinska Center for Rare Diseases (KCRD) at Karolinska University Hospital in Stockholm. Dr. Nordgren learned about Positive Exposure upon meeting Rick in 2015 at the Coffin Lowry Syndrome Foundation conference in Wellington, FL. At that time, the idea of a Positive Exposure in Sweden collaboration was discussed — and it finally came to fruition this year! 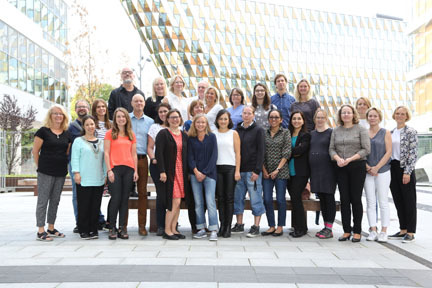 The whirlwind of activity began in Stockholm with a photo shoot of researchers at the Rare Disease Research Lab at Karolinska University Hospital, one of Europe’s premier health facilities. This was followed by a Positive Exposure: Seeing Beyond Diagnosis presentation and a photo shoot with Ambassadors living with unknown rare diseases as well as their families in conjunction with the Wilhelm Foundation. After spending time with this incredible community in Stockholm as well as exploring the possibility of a Positive Exposure Exhibition at the Fotografiska Museum, we flew to the west coast of Sweden for a Positive Exposure presentation and photo shoot at Ågrenska House and Foundation. Located on Lilla Amundön, an idyllic island in Gothenburg’s picturesque archipelago, century-old Ågrenska conducts research and provides programs for children, teenagers and adults with rare diseases, their families and professionals supporting the family. 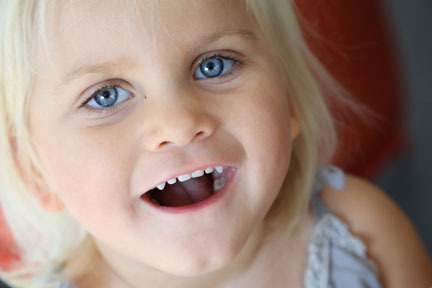 Since 2005, Ågrenska has also been home to the National Competence Center for Rare Diseases in association with Rare Diseases Sweden. As one can imagine, the two days spent at Ågrenska were beyond amazing! And it turns out that serendipity came into play as two cousins to our Executive Director, Liz Matejka-Grossman, attend Ågrenska and just happened to participate in the photo shoot too — unicycle and all! The purpose for photographing and gathering stories from researchers, ambassadors and families in both Stockholm and Gothenburg is to create an exhibition that captures the human spirit as well as connects one person to the next. This unique exhibition will show the human side of the scientists in the room by sharing a little bit about themselves while also explaining what led them to become a researcher in their particular field of interest. Likewise, the exhibition will enable Ambassadors and their families to talk about life from their perspective — their likes, their dislikes, their favorite rock band — in addition to discussing the positive impact of KCRD, Karolinska University Hospital, the Wilhelm Foundation and Ågrenska.